To celebrate holiday week, Siborg Systems Inc. is offering sales prices in their online store and Amazon sales channels starting Monday midnight. The sale will include Smart Tweezers and LCR-Reader LCR/ESR meters, the new multipurpose debugging device LCR-Reader-MP, task kits and accessories. 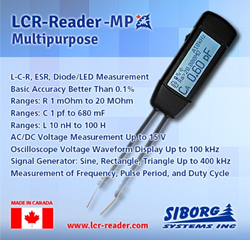 Siborg has recently released the new LCR-Reader-MP, an unprecedented device for testing and troubleshooting SMT. This device is the newest model in the LCR-Reader line of lightweight LCR and ESR meters and offers a wide range of additional features including voltage/current measurement, diode/LED test, oscilloscope, frequency meter, etc. The popular brand is recognizable by the sharp, gold-plated tweezers combined with a compact multimeter that is able to test components efficiently and accurately with no set-up. 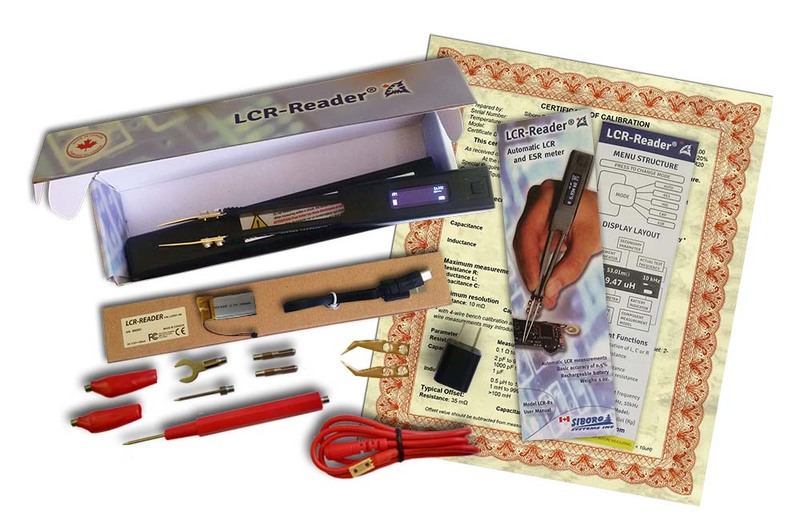 The LCR-Reader-MP offers users more features and the highest basic accuracy of all the LCR-Reader and Smart Tweezers devices at 0.1%. The MP has features such as: LED/diode measurements, pulse counting, continuity testing, signal generator, super large capacitance measurements, AC/DC voltage measurements, an oscilloscope mode, and more. Some of the main abilities of the device is testing components using a 100 kHz test frequency that allows for 1 nH resolution for inductance and a 0.01 pF resolution for capacitance. MP is the first to offer a “Large Cap” mode has a wider range of test frequencies that allows for measurements of large and super capacitances up to 680 mF. Siborg will be showing the product at this years International Electron Device Meeting Exhibits (IEDM) in San Francisco from December 3rd to 5th, 2017. LCR-Reader devices have become the consumer’s choice for a lightweight LCR-meter since their debut in 2013. This device was meant as an alternative to Smart Tweezers devices; they offer the same functionality with less features and a slightly lower basic accuracy (0.5%) but at an affordable price. 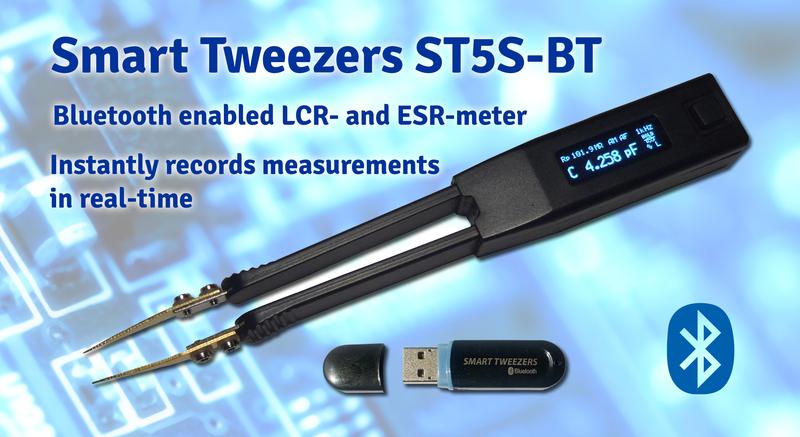 Smart Tweezers was the original tweezer-based multimeter; over the years this device has gained traction with some of the leading technology companies around the world, especially those with production lines. This device offers a 0.2% basic accuracy and more features than LCR-Reader. 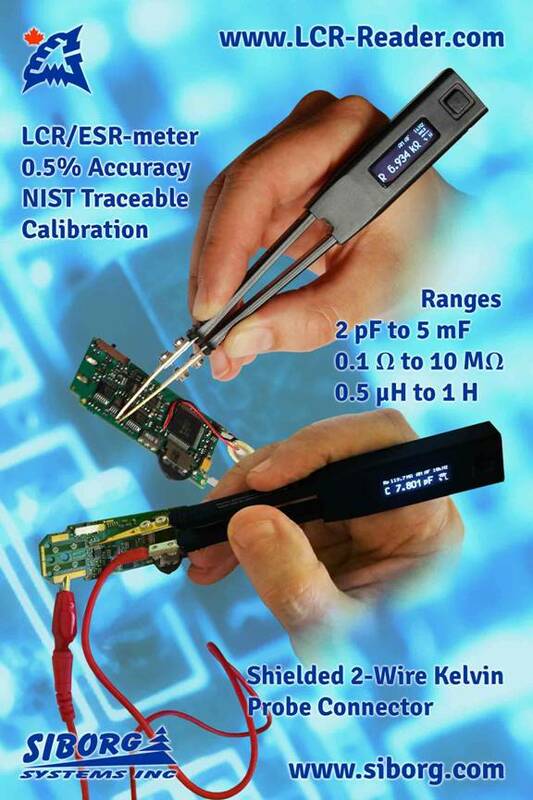 LCR-Reader-MP, Smart Tweezers and LCR-Reader devices are accompanied by NIST traceable calibration certificates. Siborg offers many other testing tools and accessories in their online store and sales channels on Amazon. These devices include Bluetooth enabled Smart Tweezers, an LED tester, multimeter tweezer probes, and the LCR-Reader Kelvin Probe Connector. The Kelvin Probe Connector is a shielded two-wire extension kit that allows Smart Tweezers, LCR-Reader and the MP device to be turned into a full probe station and measure components that do not fit between the tweezers. This connector set is especially useful when using the MP’s oscilloscope mode. 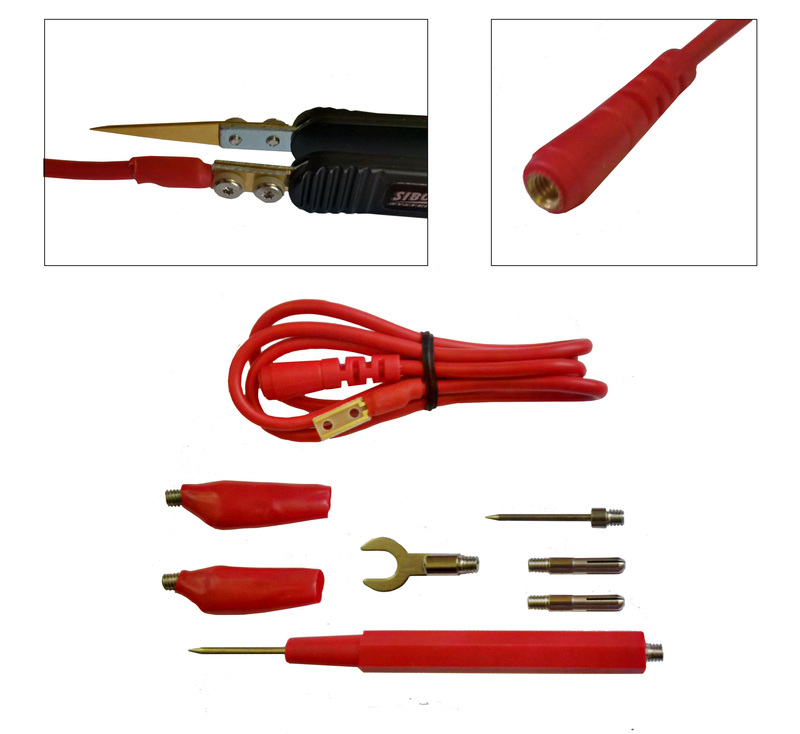 The kit includes 5 different connectors (alligator clips, spade clip, multimeter jack plugs and long and medium pin-probes) and is easily installed to the device. Starting midnight on November 21st, 2017, Siborg will be offering up to a 30% discount on their devices, accessories and task kits in their LCR-Reader Store and on Amazon sales channels in Canada, USA, UK, Germany, France, Spain and Italy. Established in 1994, Siborg has become a source of engineering hardware and software for the semiconductor and electronics industry. Located in the city of Waterloo, Ontario, Canada, it enjoys being a part of the local world-renowned high-tech industry.